I have something new and shiny from Bobbi Brown. It was easy to choose the Telluride Eye Palette that made my heart sing immediately (review coming soon), but I was a bit skeptical about my other choice, Russian Doll from the new lipstick range called Luxe Lip Color. Thankfully, it turns out I also like a full coverage lipstick if it is good quality. Plus it doesn't hurt that Russian Doll is a quite flattering shade on me. I can't say I am a big fan of gold metal cases that collect fingerprints like mad, but I must admit that this one has captured a luxury feel which all lipsticks more than $30 should possess (I would never pay the full price for those flimsy Charlotte Tilbury lipsticks for this reason, by the way). It is a well-made case with a sturdy feel to it and the cap is adorned with some royal embossment with "B". 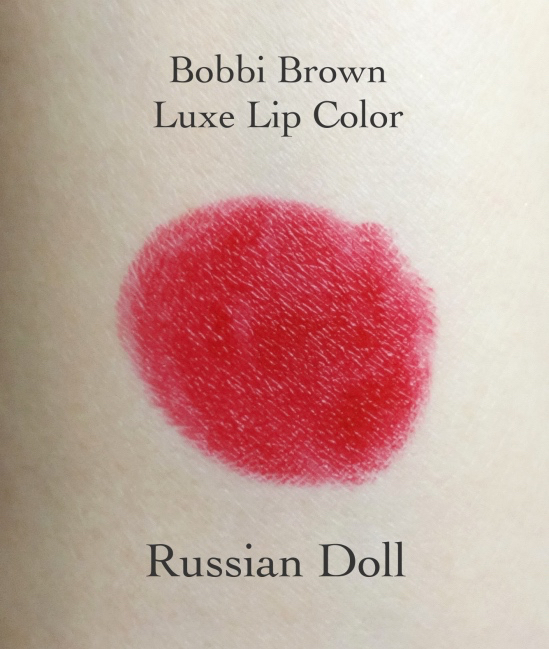 Bobbi Brown describes Russian Doll as "a rosy red". It is a truly stunning jewel red that reminds me of dark ruby. To me, Russian Doll is more of a glam red which will probably go better with a velvet dress than a pair of jeans. The pigmentation is just remarkable. Swatches above were basically made with single swipes. "Our boldest, most vibrant color ever. This sumptuous formula dramatically boosts moisture levels while intensely rejuvenating lips, keeping them comfortable and conditioned—even after it’s removed." I am quoting from the site (which I don't do often) because every word of it is true. 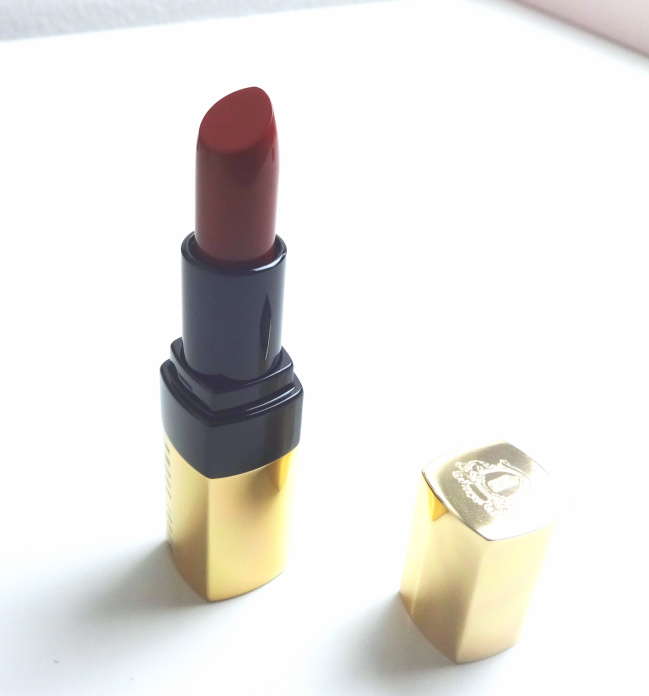 The formula is rich and creamy but feels relatively light and very moisturizing on the lips. The lasting power is excellent and this particular color leaves a very even semi-opaque stain with a velvety sheen, which I like even more than the full-on effect. 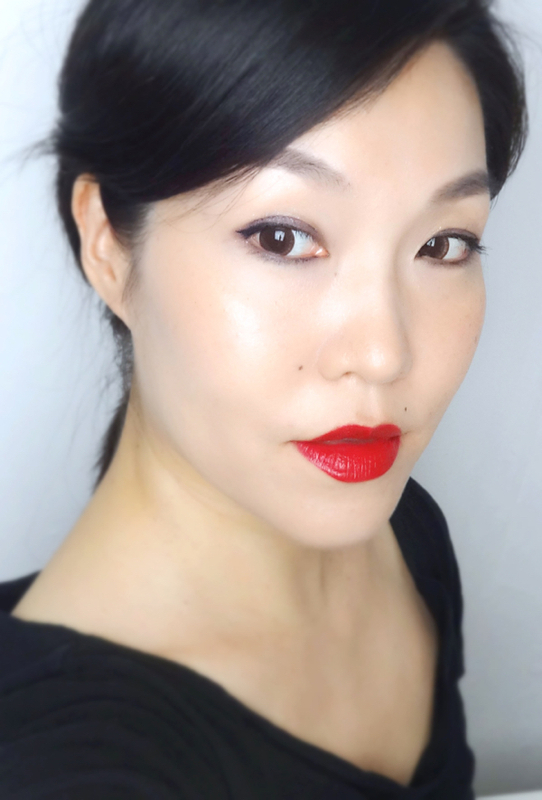 Here is an overall look with Bobbi Brown Luxe Lip Color in Russian Doll. If you like full coverage lipsticks with rich colors, do take a look into Bobbi Brown Luxe Lip Colors. You might find one you fancy since there are whopping 30 shades available. Russian Doll is my 12th red and I think it completes my red lip wardrobe. I won't be buying red lippies for a while. Maybe I will show you all 12 of them next time. Wish everyone a beautiful weekend! This is a gorgeous red and you look amazing in it. This one is especially glamorous so probably not the one I'd reach for all the time, but I'm happy I have it in my collection. OOO you really should wear saturated lipsticks all the time, Lena! This is stunning on you (but OK, I know that everyone has a different comfort zone). It's also nice to see their marketing department actually making an effort to give this one a different name, otherwise ALL Bobbi Brown products seem to share the same names and it gets confusing when you try to Google for swatches! I think red lips photograph so much better than how it looks in real life not that I'm denying Russian Doll is a special color. And holy girl, this is STUNNING. So beautiful. I think Armani 400 is this sort of shade for me, thank goodness :P But I am curious about this new line, now! It's opaque without looking too creamy (i.e., dated), so that's good! I usually don't like full coverage lipsticks because they look too creamy and not very modern. Armani 400 is just gorgeous on you. 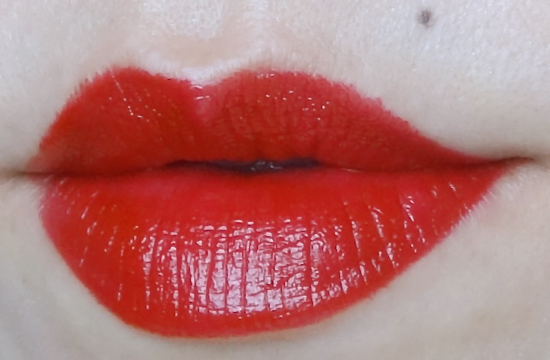 If not an everyday color, we still all need to have at least one glamour red lipstick, right? I'd say Rouge D'Armani is still lighter on lips, but Luxe Lip Color isn't super creamy or anything. It does transfer a little but does not bleed. The creaminess is just about right. Maybe not the most modern but not outdated, either. Wow this is a real statement lip, looks great on you especially with your hair up like that! I'd be interested in your "12 reds"! I agree with you about packaging, of course the formula is important but at that price, they better make the package feel good too. The hair is my "I want to eat my dinner like I mean it" do. LOL. I'm happy to hear that the photo came out well to go with this amazing lipstick! WOWZA! That looks amazing! I'm going to have to check out Bobbi Brown! I thought about you actually. You'd really enjoy this range since you like creamy & pigmented lipsticks. The formula is very kind to lips as well! Oh, I just Googled the range...and they have a brighter coral (but I will resist since I probably won't use it enough to justify the purchase), can't wait too the the review on that palette though. I have only tried 3 bobbi brown products in the past(loved all of them but I just don't dig the packaging/especially on the ginormous shimmer brick). Oh my gorgeous! 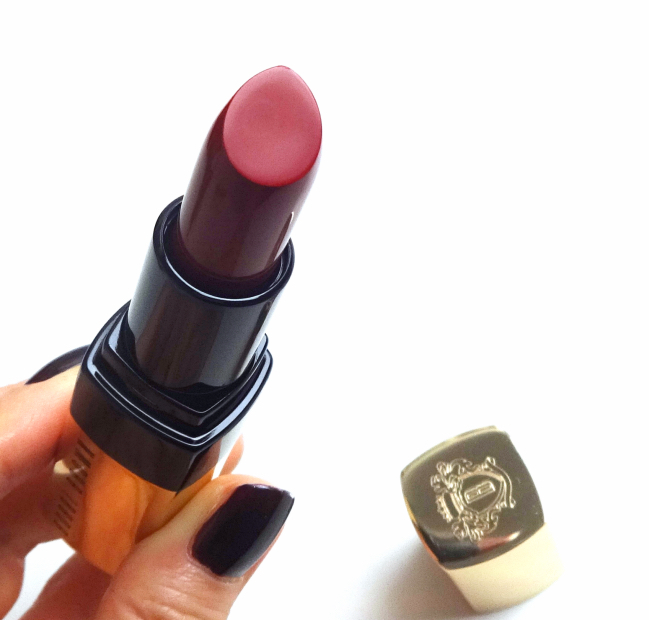 Is there any lipstick color you can't ROCK? BEAUTIFUL! I really love you in reds and bright pinks, and this one is another total winner! Hahaha, I know you won't but it would be awesome (;D). Not sure Russian Doll is my color but I sure enjoy the color a lot. The formula is really great as well! I just bought one of the Luxe Lip Colours last week and am so smitten with the formula! The claims really do live up. 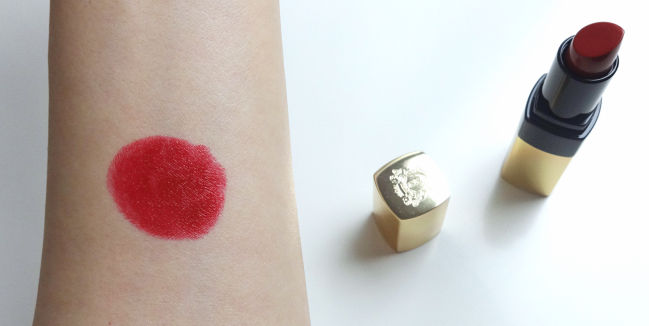 Loving the looks of Russian Doll- my kind of red for sure and such a pretty shade on you! 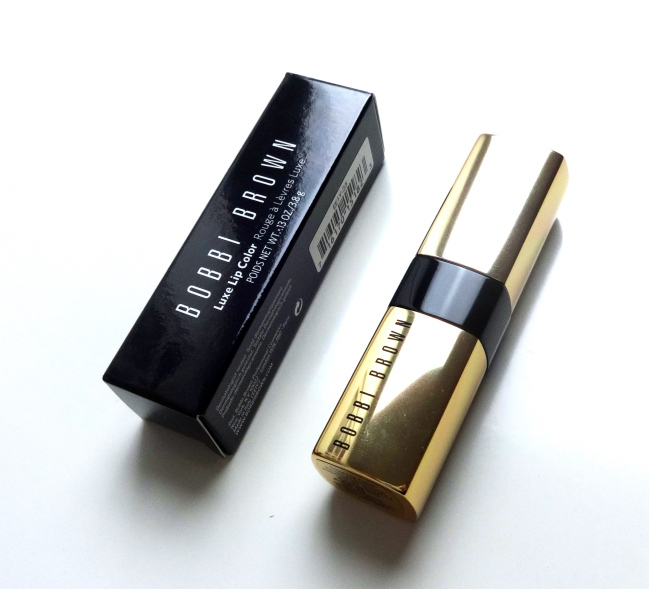 I'd been thinking of grabbing one (or two) of the Bobbi Brown Luxe Lip Colors. The formula sounds really nice and I've read only positive reviews so far!